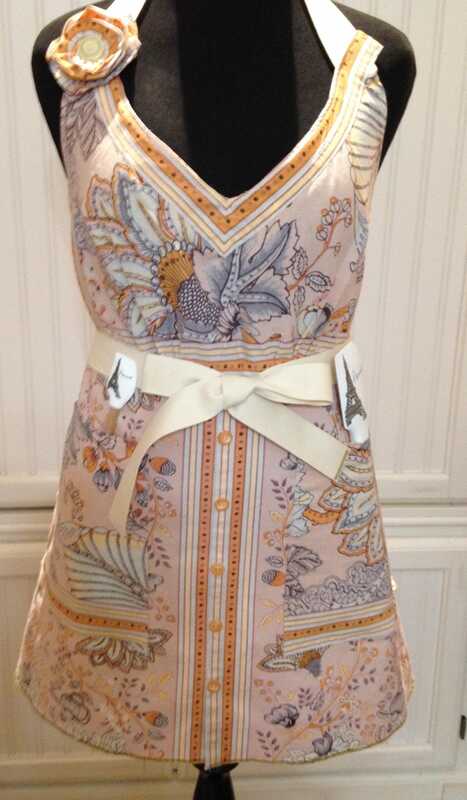 This Womens full apron is fashioned from beautiful peach and cream placemats and napkins enhanced with vintage trim and buttons. 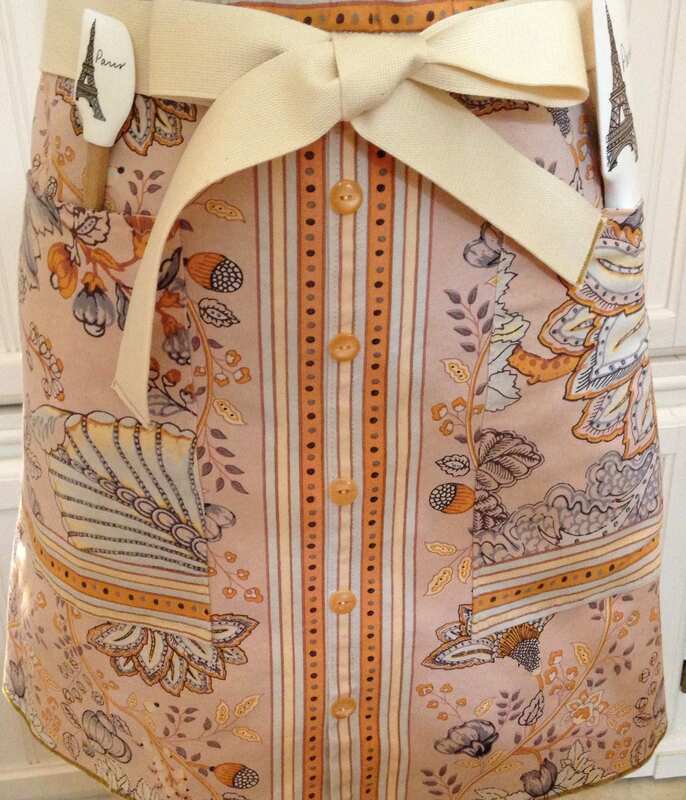 The cream webbing ties are extra long and the neck strap is connected so you simply slip it over your head. 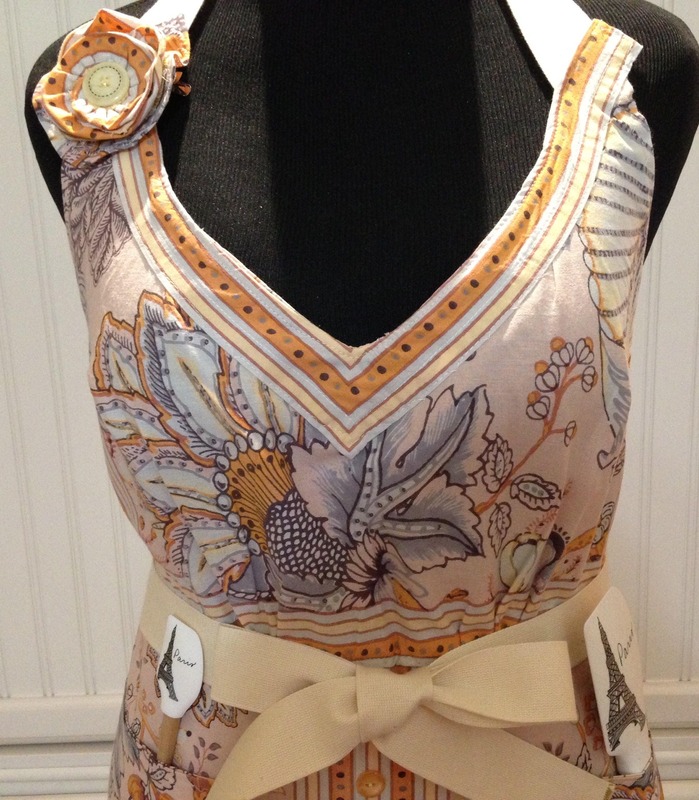 No neck ties make this an easy to wear apron. 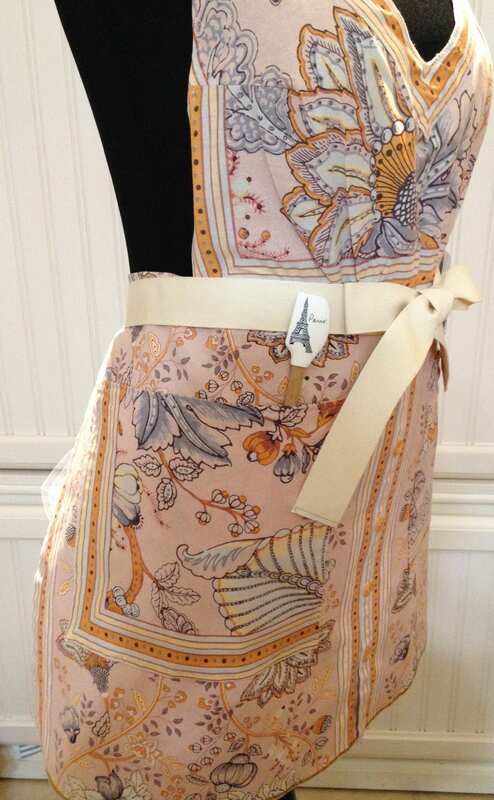 The apron skirt is wider for full coverage and has two large square shaped pockets. 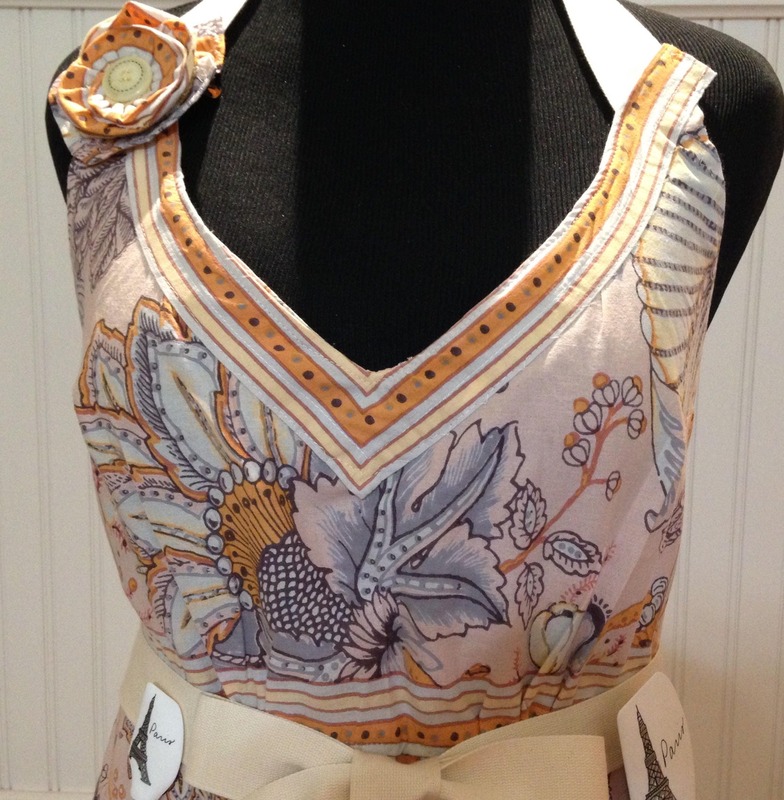 The bodice made from a matching napkin is gently gathered at the waist for a flattering easy fit. 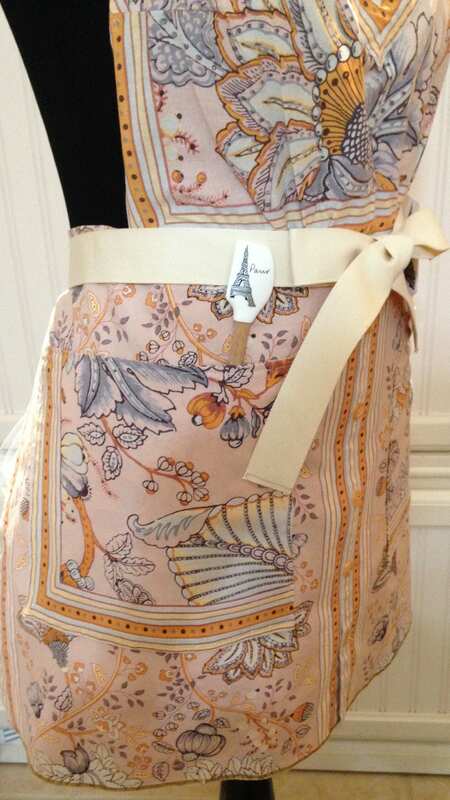 The webbing ties are soft but sturdy and as always these are long enough to wrap around and tie in front. 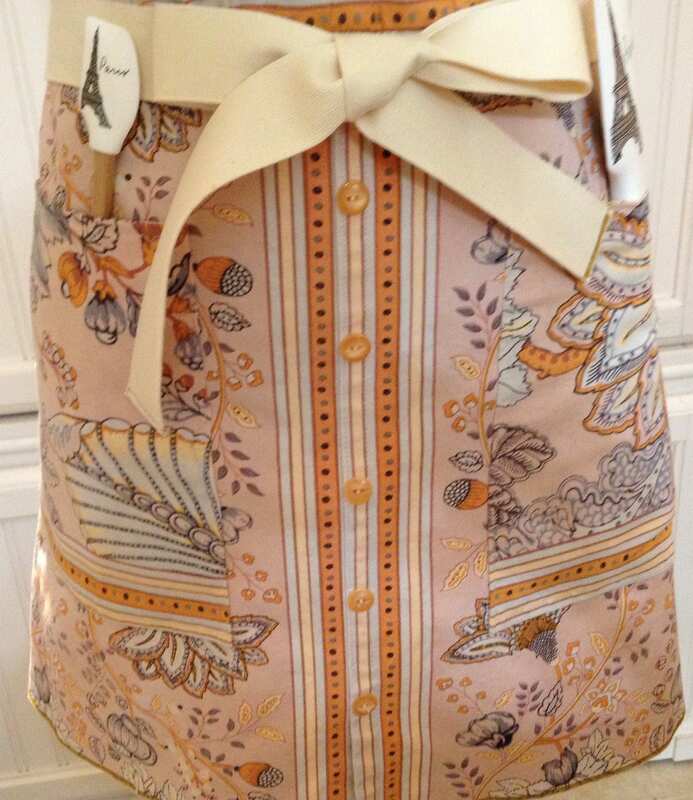 The pattern of this fabric is one of my favorites. 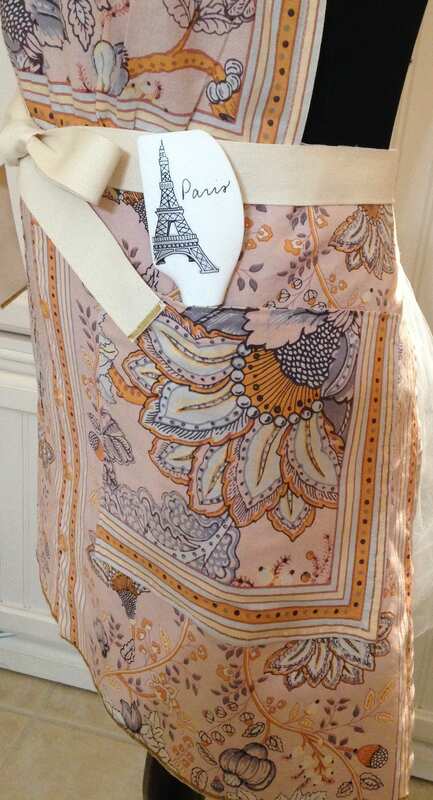 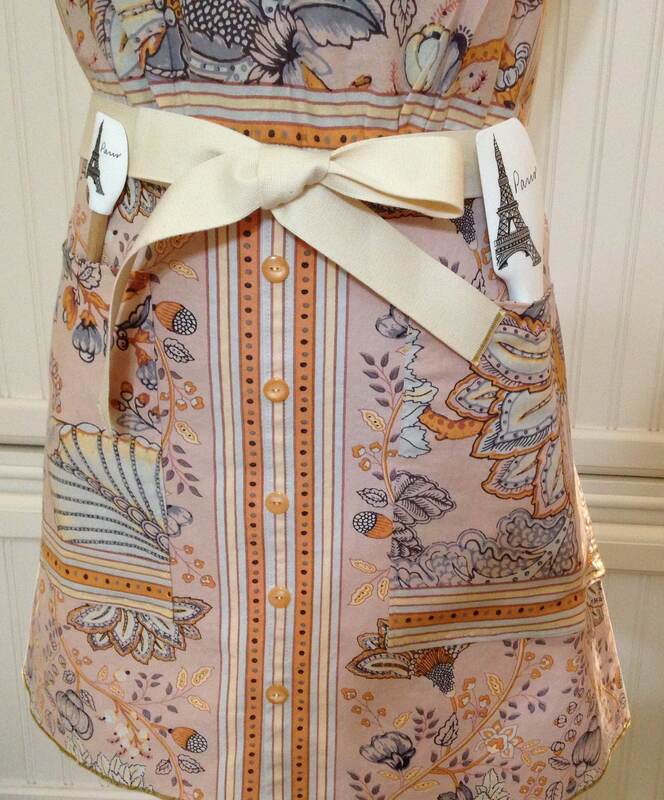 This apron would make a lovely Mother's Day gift or a welcome gift for any occasion.